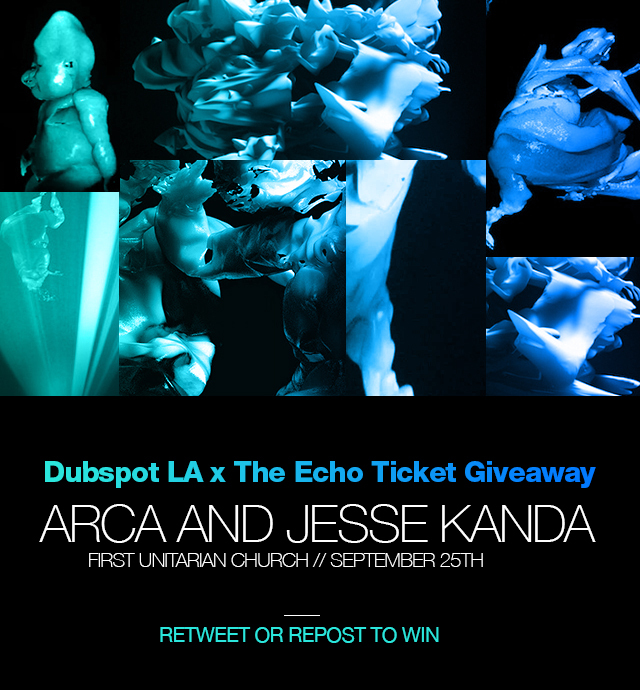 Dubspot has teamed up with The Echo in Los Angeles to give away tickets to see FKA twigs collaborators Arca and Jesse Kanda at the beautiful First Unitarian Church on September 25th. Win Tickets to see and hear a rare live show with FKA twigs collaborators Arca + Jesse Kanda live during Church Session with Arca at the First Unitarian Church in Los Angeles. To win, click here and retweet this post on Twitter! Arca has had a massive year in the production world, with his most recent nods being multiple tracks on Kanye West’s Yeezus, and FKA twigs LP1 and EPs. His progressive electronic performance at the church will include live visuals by his frequent collaborator and experimental visual artist Jesse Kanda, who is responsible for the FKA twigs LP1 cover photo, as well as the visuals behind many of her videos. Joining Arca and Jesse Kanda for this one of a kind performance will be talented producer Total Freedom (Fade To Mind / Kelela).